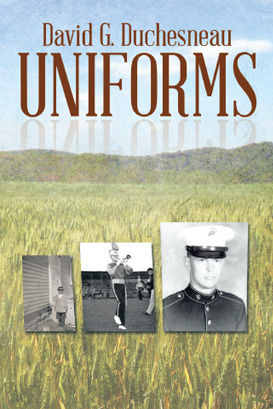 Uniforms spans an era in a boy’s life that tells about his experiences growing up in a small New England town, from his childhood years, attending parochial school, to his adolescent years, continuing parochial school and becoming an active member of a drum and bugle corps for ten years. The story continues into early adulthood when he enlisted into the United States Marine Corps, through boot camp, and then serving two tours of duty, 1969 through 1970, in Vietnam. It is a factual description of his life as he grew up and through his experiences of wearing many uniforms, which shaped his life and future forever. The language used in this book is sometimes graphic, with four-letter expressions. However, it is the exact language that was so commonly used during that era. The author does his best at explaining what it was like to grow up in the late 1950s and the 1960s, attending school taught only by nuns. Then while still attending school, joining a drum and bugle corps and all his experiences traveling around New England and Canada, performing in parades and field competitions. At eighteen years old, he enlisted into the Armed Forces, United States Marine Corps, and explains what life was like at eighteen years old in 1968 to go through boot camp at Parris Island in South Carolina. As his marine infantry training continued, the author describes, in detail and in his own words, what it was like as the Marine Corps prepared him and many others like him for combat in Vietnam. The author then describes, to the best of his recollection and ability, what life was like in Vietnam in 1969 while he was attached to a marine combat unit in Quang Tri Province of Southern Vietnam. The book goes on to describe how, at the end of 1969, he was redeployed to another combat unit south of Da Nang. The author stayed in Vietnam until mid-August of 1970 and then was released from active duty and returned home at the age of twenty-one.